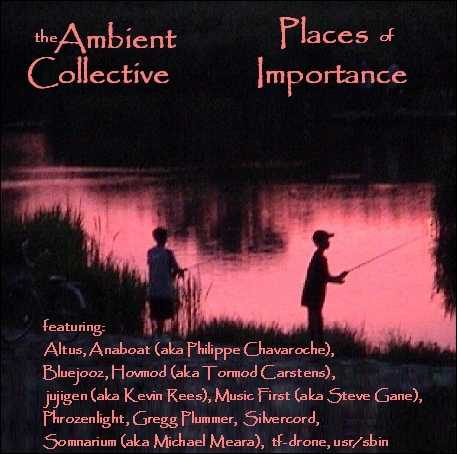 Thanks to all who contributed to this most personal of Ambient Collective albums. Dec 8th update: An extra track from Not Your Average Hippy has been added. Update: Please note that I made some errors on the initial tray image. Please download the correct one below. Sorry all! 2) jujigen (aka Kevin Rees) "Urban Oasis" Yodogawa, Osaka, Japan. 11) usr/sbin　(aka Dennis Moser) "Somewhere Above The Cloud Canyons, Between Milawukee and Dallas"
13) Not Your Average Hippy "Clear Lake - The Sounds Of Fall"